Eliminate messy cable tangles by using this hook and loop cable tie roll to organize them. Our hook and loop cable ties roll has a double-sided design to simplify cable management. 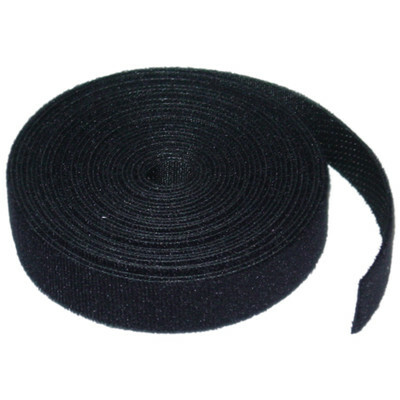 Cut custom-length rings from this 3/4-inch wide by 5-yard long roll for wrapping cables together as part of your setup. Wrapped cables will take up less space, be easier to keep track of and are safer for passerby. Use our wholesale rolls for computer, networking or music cables with the confidence of a lifetime warranty. Great product, have used many times. Good product, served my needs. Can be used for many things, but I use them to secure music cables. I cut mine in half as I needed it which worked well. This is good velcro. It''s not in pre-cut sections, as I assumed it would be, but it still works. Good velcro 2-sided wrap, great price - will order again.